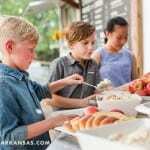 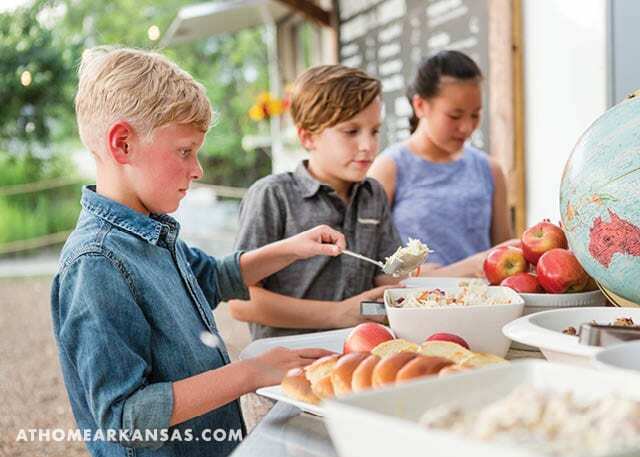 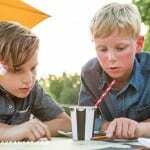 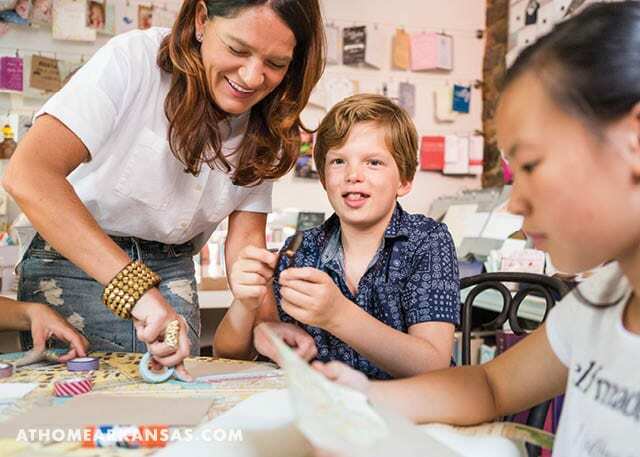 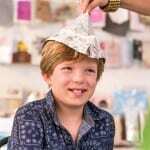 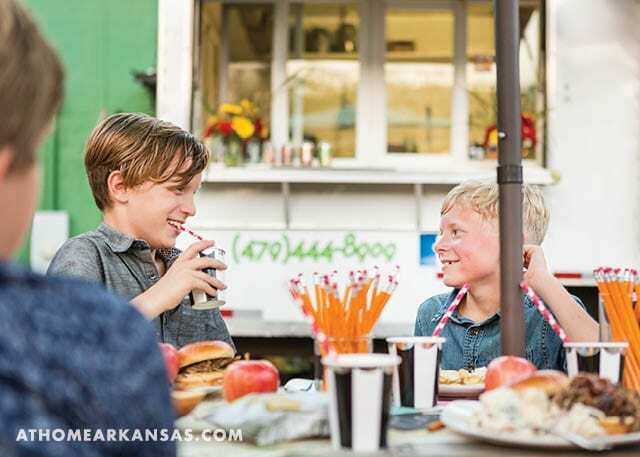 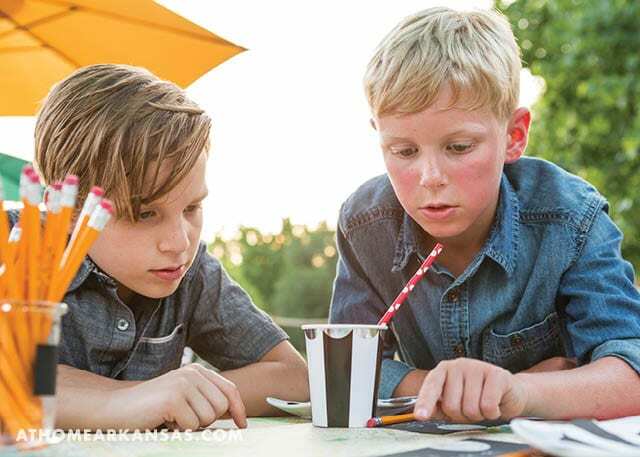 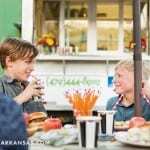 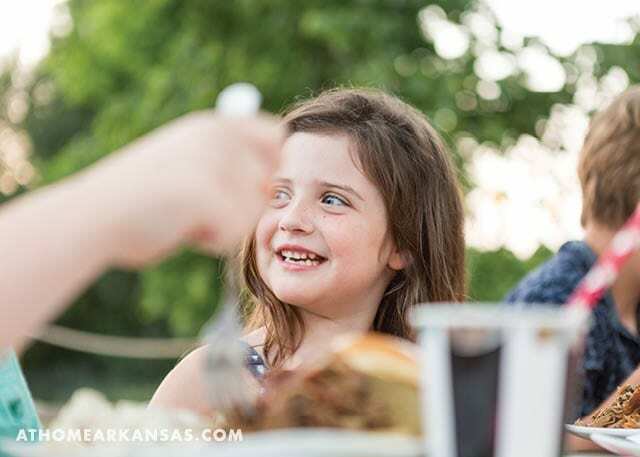 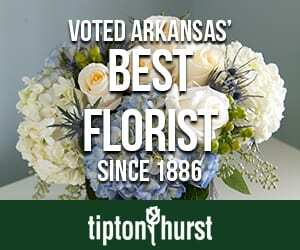 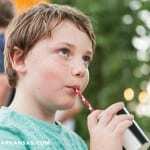 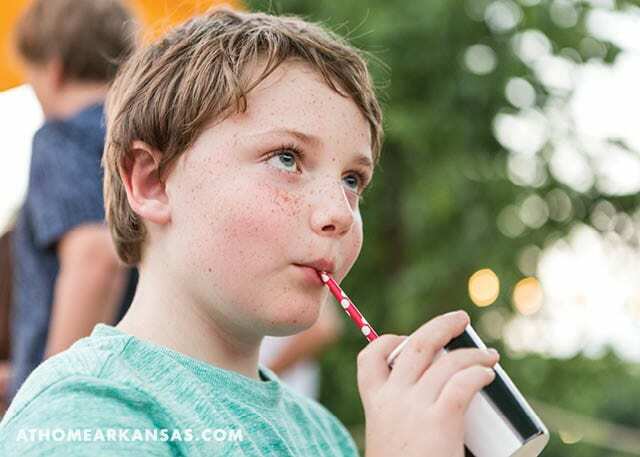 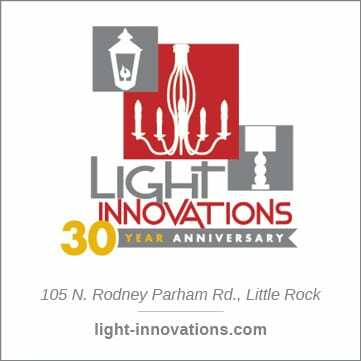 To celebrate the new school year, Logan’s sons invited their friends to Shindig for craft night to make cards, newspaper hats, and envelope liners before heading over to the food truck court at Fayetteville’s Greenhouse Grille for a casual, al fresco dinner. 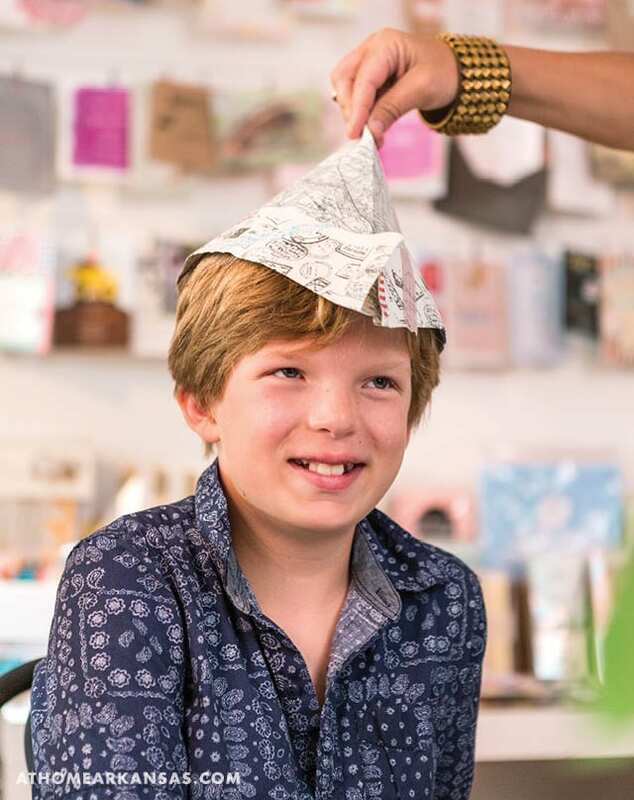 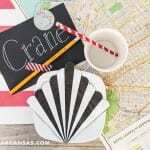 Crane and his friends loved making newspaper hats, created from kits available at Shindig Paperie and decorated with washi tape. 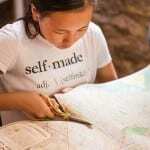 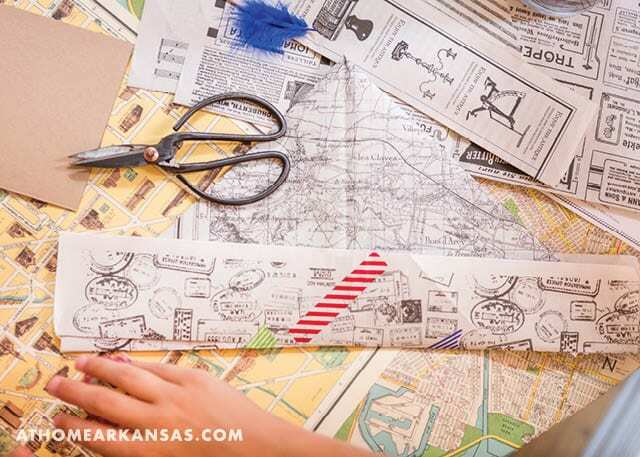 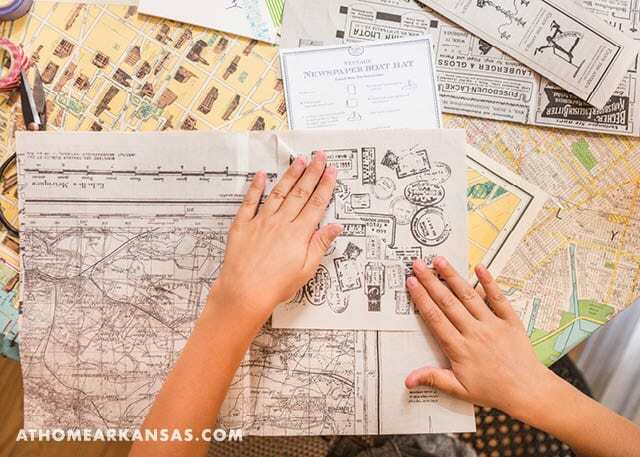 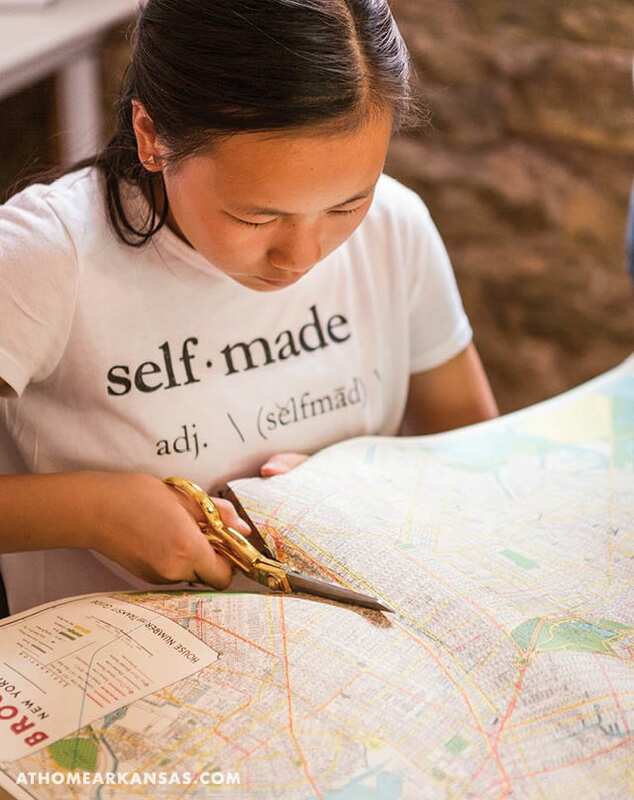 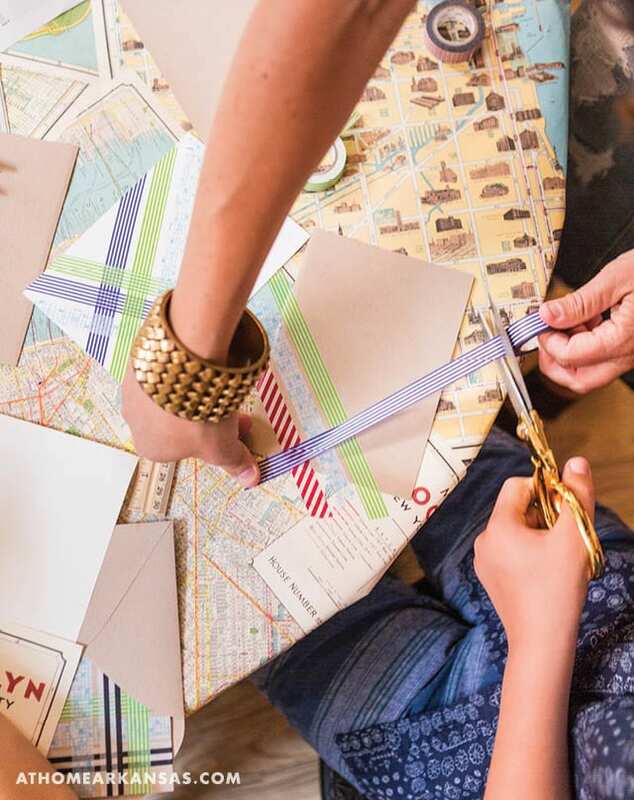 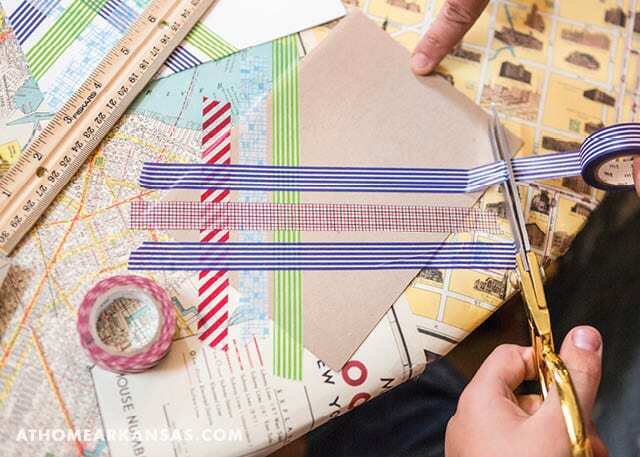 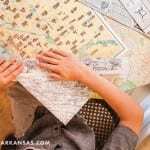 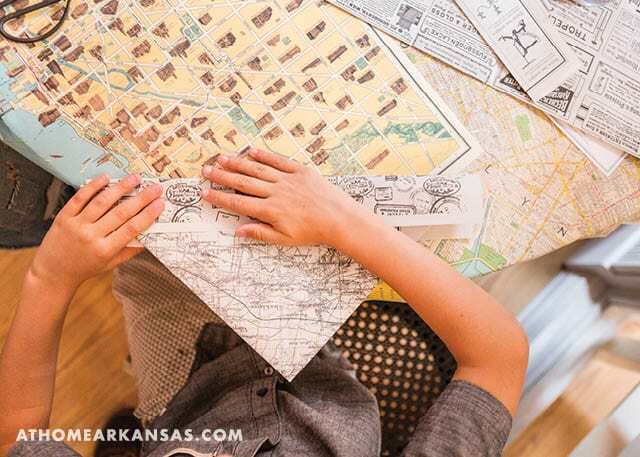 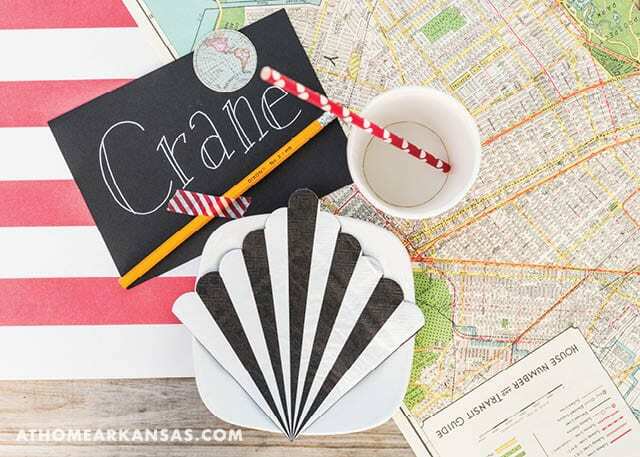 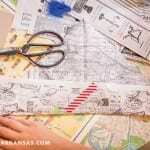 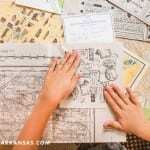 Next, the kids made envelope liners from vintage map paper by tracing an envelope template (both available at Shindig Paperie), cutting it out, and using double stick tape or a glue stick to affix it to the inside of a blank envelope. 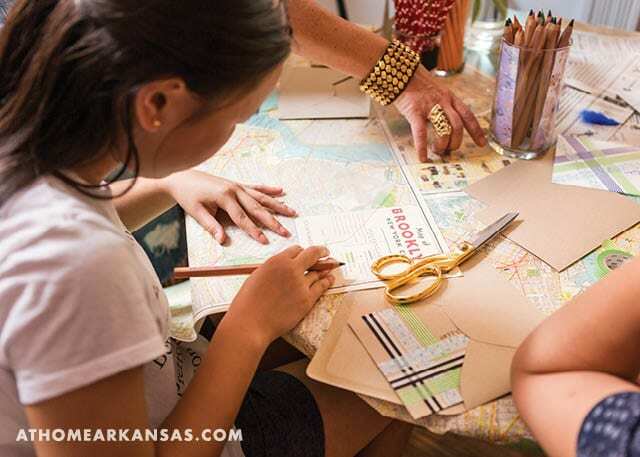 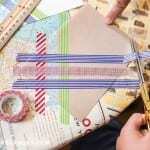 Using washi tapes in a variety of colors and patterns (all available at Shindig Paperie), the kids created their own designs on blank notecards or envelopes, and trimmed the tape at the edges. 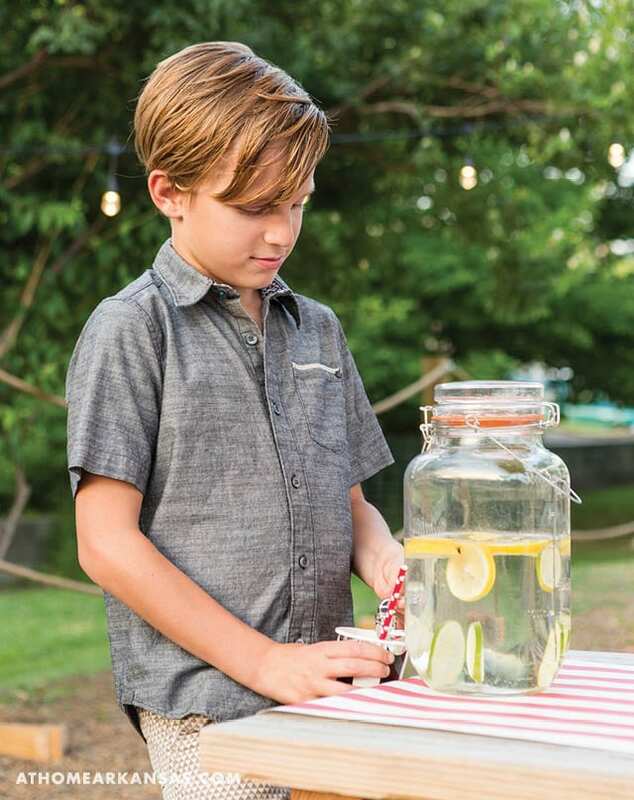 “The kids can write notes to give their new teachers on the first day of school, or write a letter to their pen pals from summer camp,” Logan says. 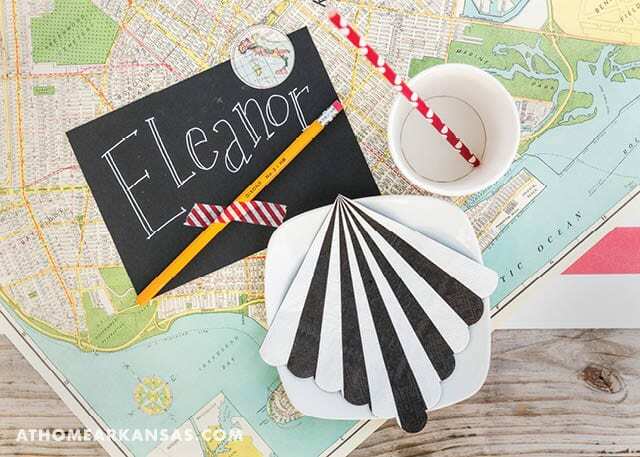 No back-to-school party is complete without names spelled out on chalkboard. 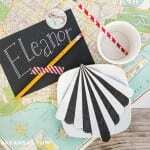 Logan created place settings for each child by writing their names in chalk on black cards, then affixing a pencil to the card with washi tape. 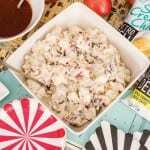 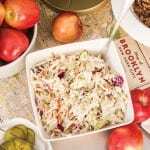 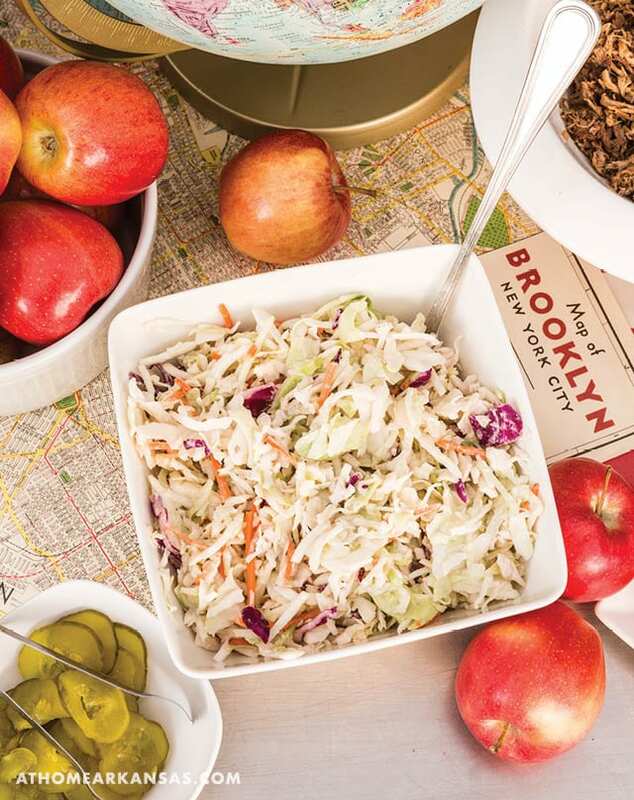 Get the recipe for Greenhouse Grille’s coleslaw on the blog at athomearkansas.com/blog. 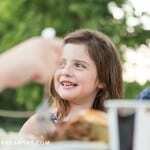 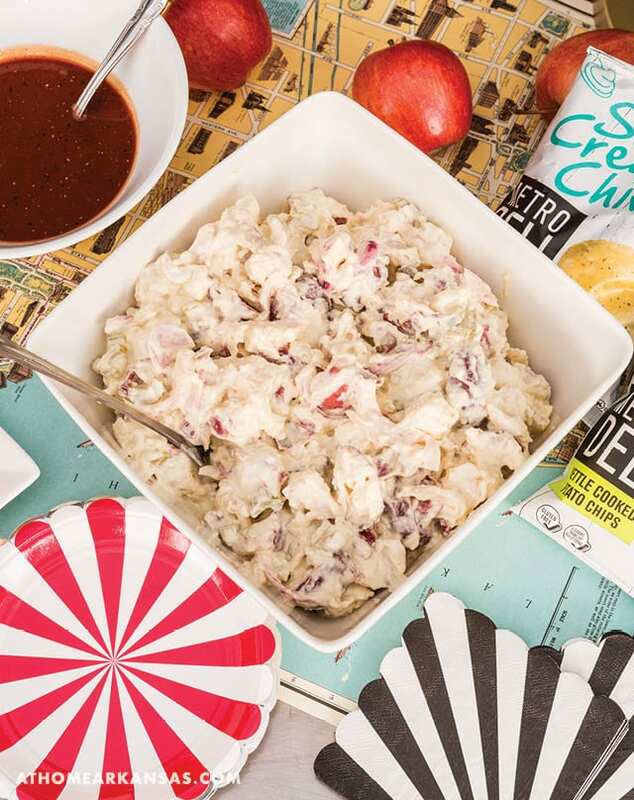 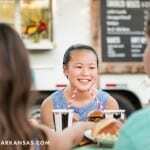 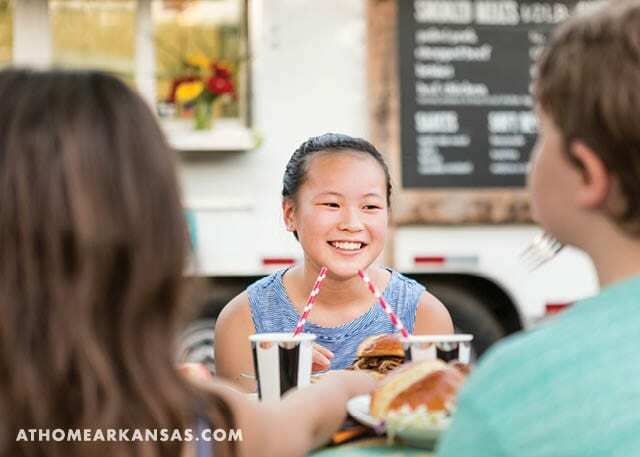 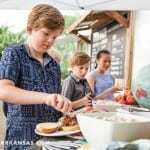 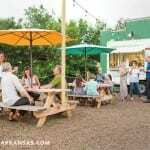 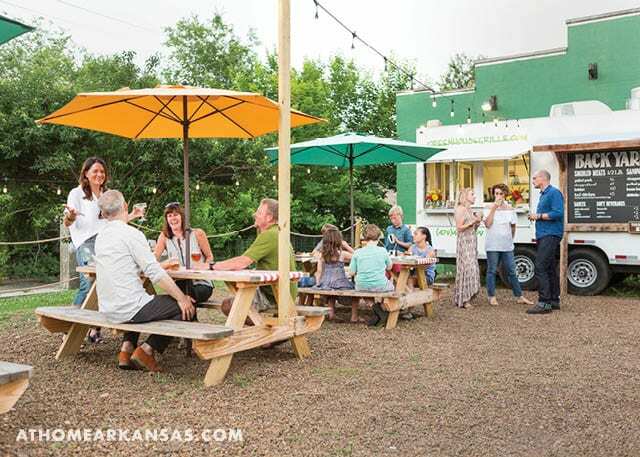 After the crafts were made, the crew gathered for dinner at the food truck court at Greenhouse Grille for a casual, summer meal of barbecue, coleslaw, and potato salad. 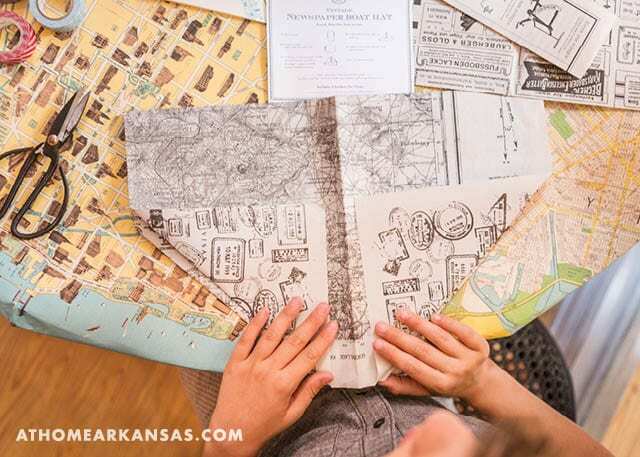 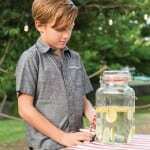 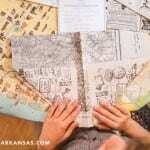 Logan continued the map theme by covering the picnic tables in a red-and-white striped paper table cover and sheets of the vintage map paper. 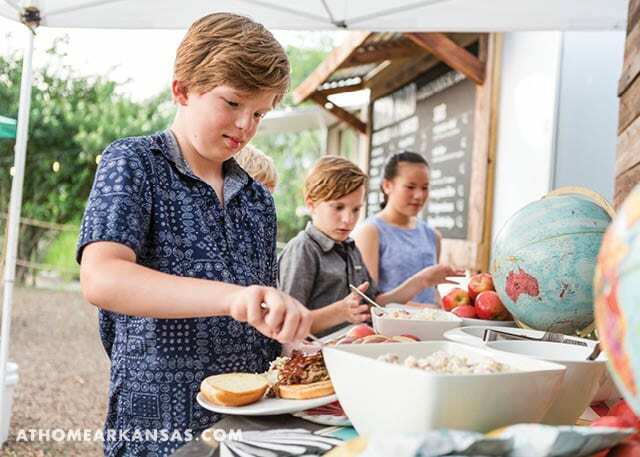 She add simple back-to-school centerpieces she created from bouquets of yellow pencils, vintage globes, and bowls of apples.